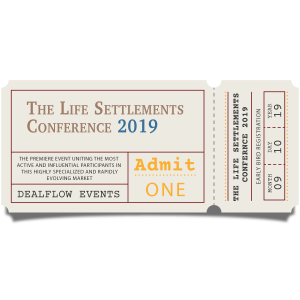 The Life Settlements Conference is the premiere event uniting the most active and influential participants in this highly specialized and rapidly evolving market. © DealFlow Financial Products, Inc. (d/b/a DealFlow Events). All rights reserved. DealFlow Events™ and The Life Settlements Conference™ are trademarks of DealFlow Financial Products, Inc.